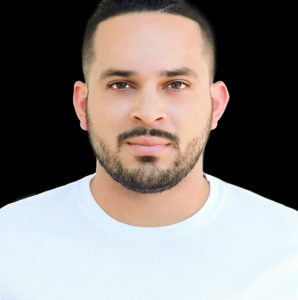 Los Angeles native Eddie Portillo has made a name for himself as a House DJ and producer whose experience has taken him well beyond the confines of his hometown. Since making his auspicious debut at Miami Music Week in March 2016, he has begun to garner headlining gigs across the country, imbuing his sets with the Salvadorean and Spanish in his blood as well as the inspiration of artists as diverse as Coyu and Sunnery James, whom he credits as the single-most influential presence in his burgeoning career. That diversity in influence has translated into Eddie’s own approach to style, music selection, and ability to read a crowd. Whether opening a show, headlining, or closing out an event, his affinity for the ambitious and bold has led him to also begin finding his niche as a producer. Currently, Eddie is a regularly showcased talent at Exchange LA, an event spearheaded by Insomniac, the preeminent dance-music event company in the country. Balancing his flourishing career as a DJ with a growing love for producing has been a focus of his, and he is gearing up for his first label release in 2017. Until then, he will continue to foster the DJ collective he founded in 2016, MADHOUSE, which is home to some of L.A.’s most promising House DJs. Already responsible for a monthly residency at Kitsch Bar in Costa Mesa, California, MADHOUSE is made up of DJs Julian Anthony, D.Zeledon + Mario.B!, MAXO, and Jay Torres. In March this year, Eddie put together a show in Miami titled BTG; Miami Bridge The Gap 2017. In collaboration with MOVE Las Vegas, the whole Madhouse roster was showcased at Oceans Ten.